It is seven thirty at night in Washington D.C., and my family is rushing through a deluge, shoving through the flooded streets of the city and flinching each time the sky lights on fire, the thunder soon to follow. I count the seconds between the lightning and the thunder – three – and insist we find some sort of shelter. Unfortunately, the majority of buildings in D.C. lack any form of overhang, so we stumble through limited visibility towards the nearest subway station. The day had begun ten hours earlier. After taking the subway in, we got in line for the National Archives, a line populated largely by hordes of eighth grade school groups. The main attraction of the National Archives is, of course, the Declaration of Independence and Constitution. It is unimportant that the ink is faded and it is difficult to make out more than a word. So far, the day is going nicely and I am enchanted by the huge stone buildings with quotes from philosophers that populate the city. Things change at the United States Capitol. I am, still, absolutely in awe, but also becoming rather hungry. Our food is taken away by security thanks to poor planning, and our tour is far more crowded than we imagined. 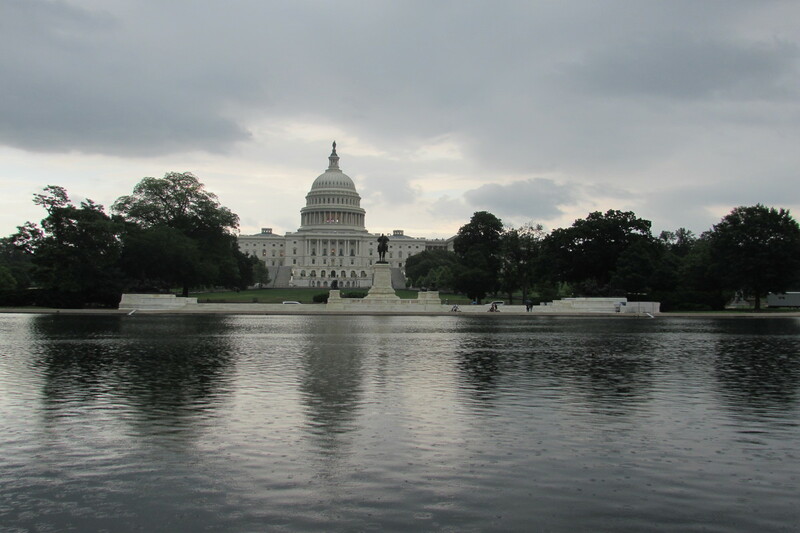 The Capitol is stunning, but I find it stifling and full of so many tourists that it was overwhelming. Our senator sent us passes to the House and Senate chambers, which are almost peaceful. As an aspiring prosecutor and eventual politician, I make a silent promise to return as an elected official, half-joking that I would rather be a senator because, unlike members of Congress, they get desks and assigned seating in the chamber. 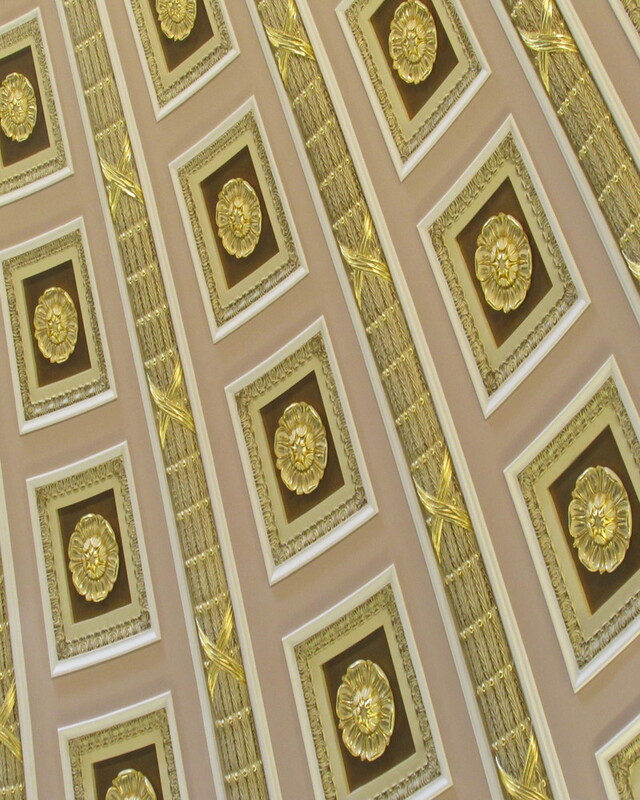 We visit the Library of Congress next, and I look up in awe at the colorful ceiling and the books of Thomas Jefferson, leather and bearing information on 18th century medicine, and Latin texts. 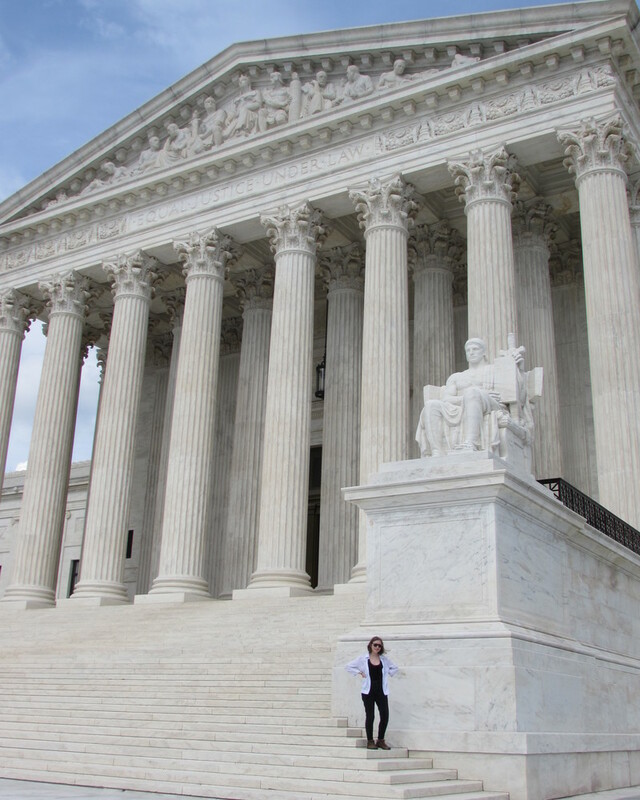 The Supreme Court seems almost minimalistic; the District of Columbia has already made me desensitized to stunning architecture. At this point, I am in a haze of hunger and fatigue, and my family stumbles towards Seventh Hill Pizza, home of some of the best pizza of my life. Whether this is due to quality or hunger is up for debate, but still gives the casual restaurant a high rating. It is after dinner and after a brief visit to the National Air and Space Museum that the thunderstorm hits, but I have talked enough about that. There will be one more day in D.C., and perhaps a much better day, with nothing but extreme heat and a vaguely sexist on the First Ladies to throw off our travel plans. The day ends quietly, with a delicious dinner at Zorba’s Cafe and a sunset walk along Embassy Row, where expensive black cars drift into driveways and flags flutter in a breeze. I have never liked cities, but D.C. has managed to enchant me two months later. It felt, above all else, surreal; perhaps I was drawn to the traffic lights and marbled buildings in the same way that hopeful actors are drawn to the smog of Los Angeles. I am unable to put into words, even though I tried, the exhilaration of tripping through puddles and being afraid of bolts of lightning in a city that, although I’m not at all sentimental, is magnetic to me.